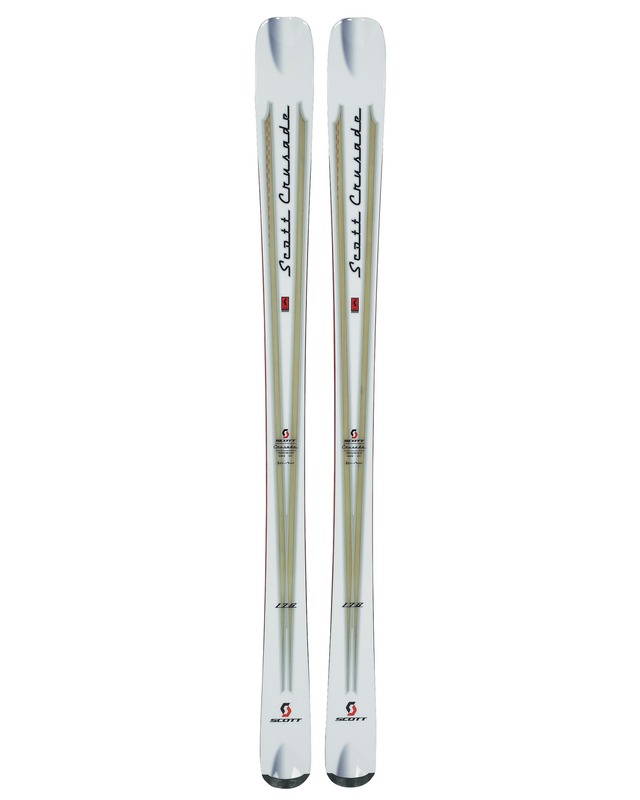 A rare pair: all mountain skis that perform peerlessly on piste and in deep powder. When something is said to be a “jack of all” that usually translates to “compromise”; it means it does everything well, but doesn’t excel. That’s not the case with Scott’s Crusade skis. This is a pair of planks that will reward you with wide smiles whether you are safely whizzing down a groomed run on you way to a lunch date on the sun deck or bashing your way through waist deep powder miles away from the admiring eyes of any Prada wearing princess. Crusade skis aren’t marketing myths, they work because Scott employed a straight forward but effective formula: shaping, construction and testing. The shape combines the needs of off piste and on. The construction ensures they can cope with mixed conditions. Finally, the hours under the feet of the god-like elite of big mountain skiing and mere mortals who enjoy bashing through powder fields confirms these skis work. To work off piste a ski needs to be fat. The buxom vital statistics of the Crusade give the buoyancy to float through the soft, deep powder. However, traditionally, wide skis have a long radius, but not the Crusade. Despite a podgy 92mm waist they have a short radius and this side cut means they can turn more quickly. Fat skis don’t usually perform particularly well on piste but the Crusade do. This is partly due to the way that the radius dimensions and width have been balanced, but is also due to the metal used in their construction, which adds stability. The combination is a ski that feels powerful coming out of the turn, grips well and turns easily. 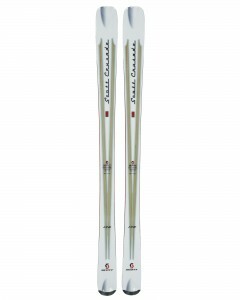 The end result is a ski that is mellow in difficult conditions and direct and responsive on hard, fast pistes. There’s no point buying them if you never venture off piste, but if you do want to leave the groomed runs behind, there’s not better ski on the market for doing a little bit of everything really well and the back country stuff brilliantly.